Microsoft refuses to say how many people subscribe to Xbox Live Gold, and Sony still won't say how many people use PlayStation Plus—the premium PS3 service I've said is far and away better than Gold. Jack Buser, senior director of PlayStation Digital Platforms, declined to give that number during a brief phone chat with me yesterday, but waved me off from thinking it's a sign that the rather excellent Plus isn't drawing paying $50-a-year users. "We are extremely proud of the number," he said, before saying that, no, he wouldn't answer my question of whether the Plus subscriber count has seven figures or not. "We don't share that number." So which numbers will Sony share? 13 million: The number of hours of play-time that games in Plus' Instant Game Collection (the batch of free games offered to Plus subscribers) in the two months after the IGC was launched in early June. 12 million: The number of Trophies players unlocked in Instant Game Collection games in those two months. 93%: The percentage of players who intend to renew the service, according to a Sony survey (as long you renew Plus, you keep access to the games in the IGC; if you cancel, you lose access). 97%: the percentage of Plus users who tell Sony's survey-takers that they're extremely happy with the survey (ticking one of the top two boxes, or options, when answering how happy they are with the service). Sony says this is up 50% over a prior survey, from presumably before the IGC began. The Instant Game Collection is no joke. It consists of games such as The Walking Dead Episodes 1 & 2, Infamous 2, LittleBigPlanet 2, Saints Row 2 and Sideway. In September, Sony added the original Borderlands to the line-up. Some games cycle out each month and therefore become ineligible for new subscribers. On October 2, Borderlands will drop out of the IGC, so any Plus members who want it for free should grab it now. 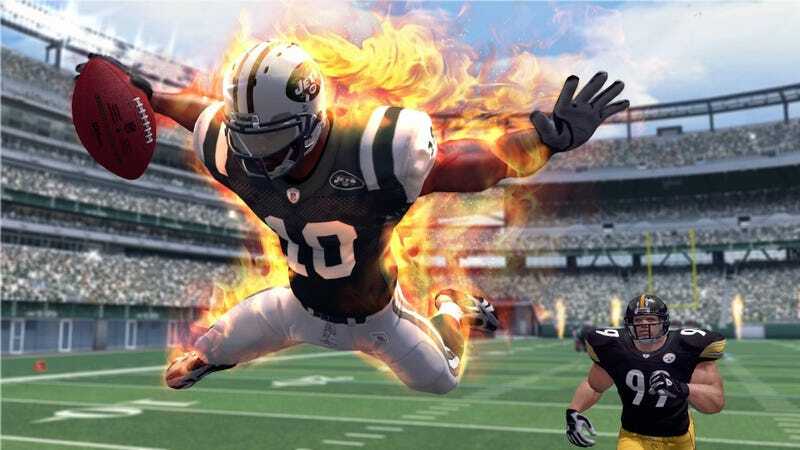 In its place, Sony is adding NFL Blitz, free for all Plus subscribers. Plus subscribers will also be able to pick up Alex Kidd in Miracle World for a dollar (usually goes for $5) and Spelunker HD for $5 (instead of 10$; DLC discounted to $1). And what of Red Dead Redemption, which European Plus users got free access to recently? No news on that, Buser said. Still, the Instant Game Collection is pretty impressive. Lots of free games for a service of unknown popularity but of definite quality. Plus is also coming to PlayStation Vitas later this year at no added cost. Read my comparison of Xbox Live Gold and PlayStation Plus, comparing each offering, feature for feature.